Would you love to turn your home into a welcoming space where friends can spend an afternoon or evening connecting with each other, their inner selves, and their creativity through a unique musical experience? If that sounds like you, then you may want to host an Alex Fam house concert! 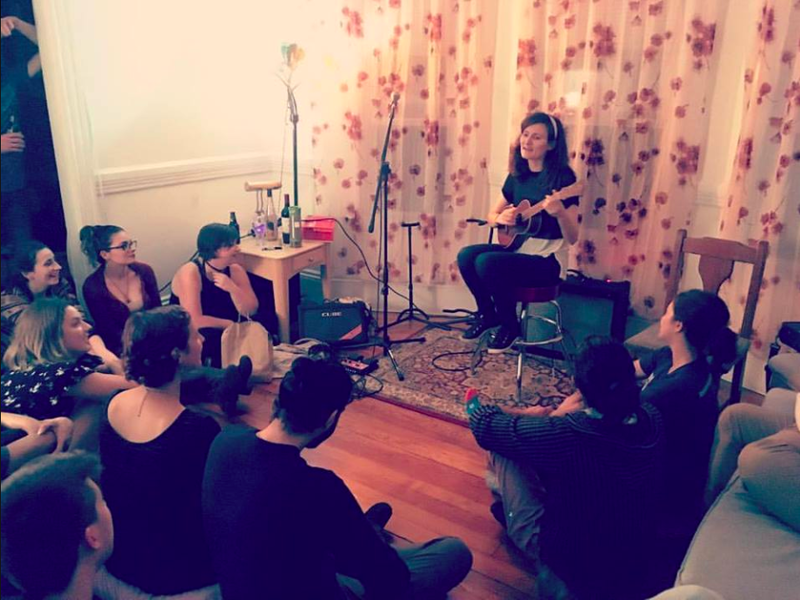 What is special about an Alex Fam house concert? 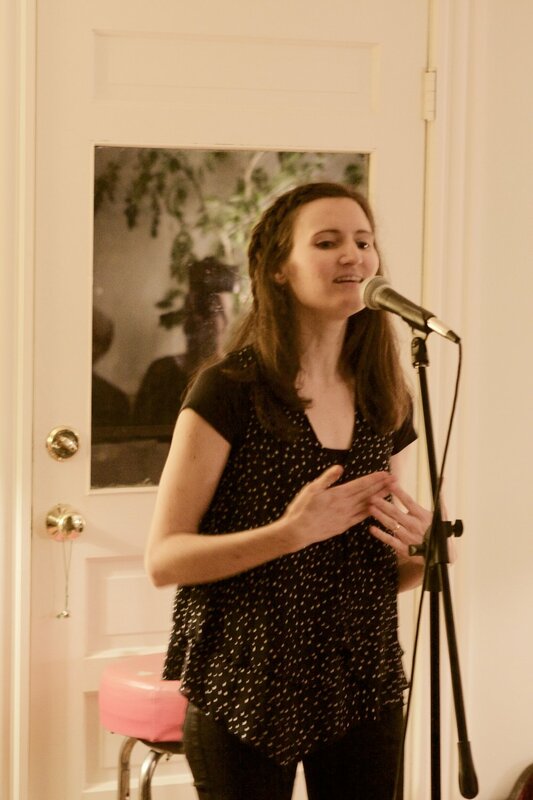 Alex performs her original music, which aims to inspire people to grow in their thoughts and actions in order to make positive change in the world. She also performs covers of wonderful songs written by other people (eg. Joni Mitchell, Gnarles Barkley, Nina Simone). Throughout the night, Alex sprinkles in "quote songs" , which are short insightful quotes that Alex sets to music and asks the audience to sing along. Near the end of her set, she asks audience members to offer their own favorite quotes and they co-create a new song on the spot. It's a beautiful creative experience! 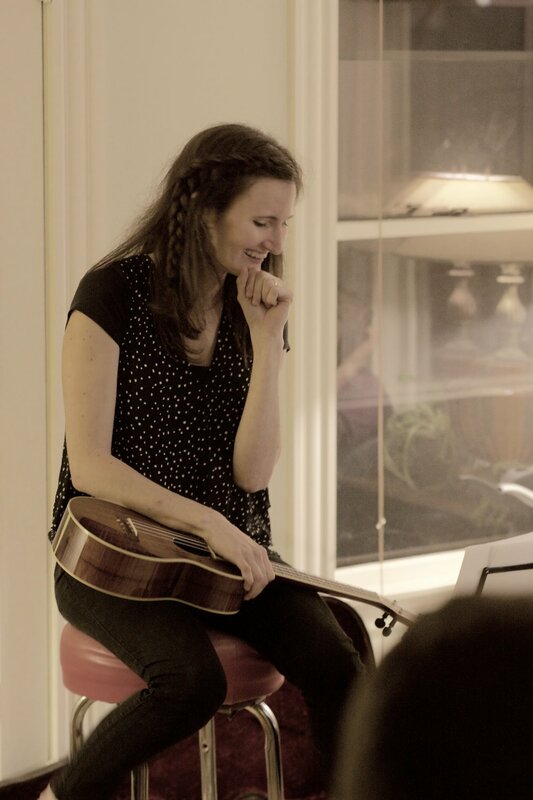 Alex weaves stories of personal experiences, thoughts on the world around her, and calls to action into her musical performances. What do you need to do as a host? You (the host) invites friends and acquaintances to your home. 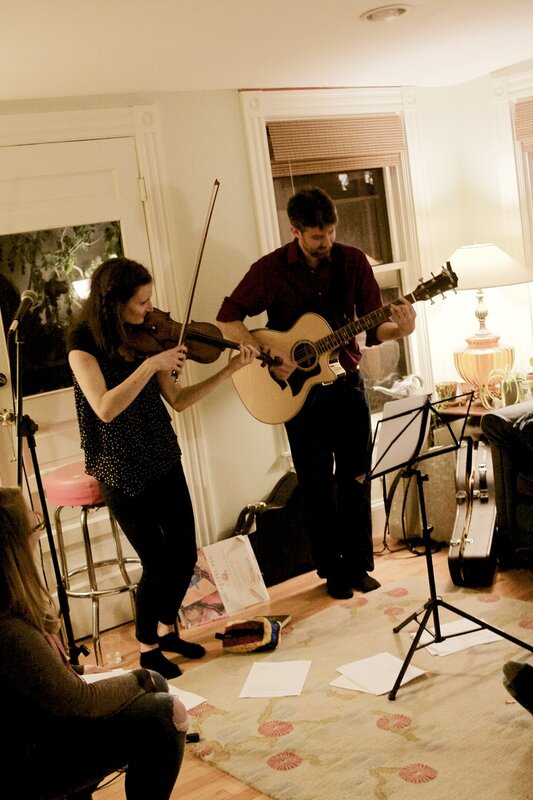 Typically, between 20 - 40 people come to a house concert, but it depends on the size of your home. Alex plays a set of approximately one and a half hours. It is often nice to have an intermission in the middle for people to chat and connect as well. Hosts can determine if they want to set a door ticket price, but typically hosts will pass a hat asking for a donation ($10-20 recommended). You may want to provide snacks or turn it into a potluck! If you think you may be interested, contact Alex to find out more info!